Rajib Ghosh heads the European, Middle Eastern, and African geographies. 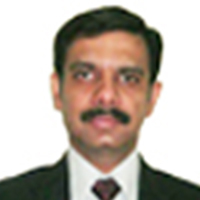 Prior to this, he headed the Human Resources and M&A function for Wipro Infrastructure Engineering. Rajib established a core team in China, laying the foundation for expansion. He was instrumental in the company’s acquisition in Brazil and led the company's East European acquisition in Romania. Over three quarters of Rajib's two decades of experience, have been with Wipro. He has held various HR roles with specific focus on process improvements, top management hiring, compensation management and employee perception management. A Post Graduate in Human Resources from XLRI, Rajib has worked in different HR roles in Pharma and FMCG industries before joining Wipro in 2000.